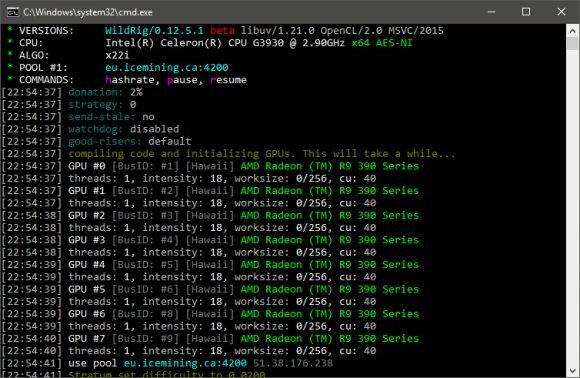 More updates from the WildRig Multi AMD GPU miner with the latest version 0.13.4 Beta bringing some more performance improvements for various supported algorithms as well as support for newly introduced crypto algorithms. The latest version adds support for the X21S and Dedal algorithms and the previous few 0.13 updates have introduced support for Aergo and X18 as well. The performance improvements for the mining speed cover the following algorithms: hex, hmq1725, x16r, x16s, x22i, sonoa, x17, x18 and maybe even more from the supported ones since the 0.13 release. 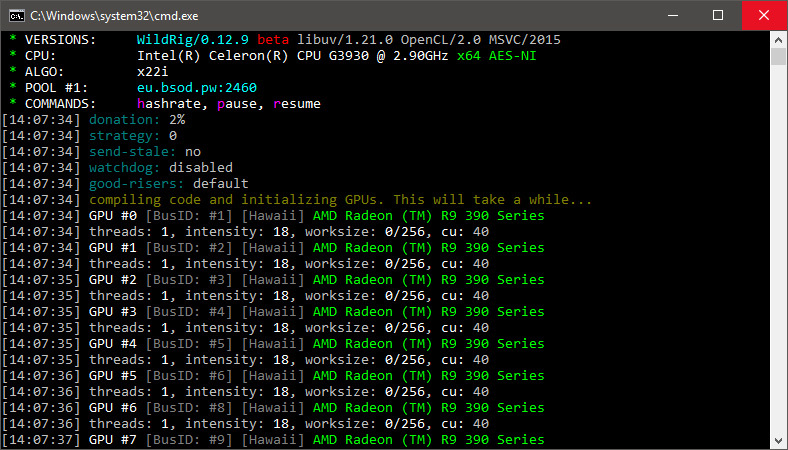 Do note that the WildRig Multi currently supports only AMD GPUs with the newer RX series and VEGA out of the box and there is a separate download of binary kernels needed for older R9 series Fiji, Hawaii and Tonga. Unlike its predecessor the WildRig Multi miner does not support Nvidia GPUs, it will only work on AMD-based mining rigs. The WildRig Multi 0.13.4 Beta is currently available for Windows, Ubuntu Linux and HiveOS as a closed source binary and with a 2% developer fee built-in by default, though it can be reduced. 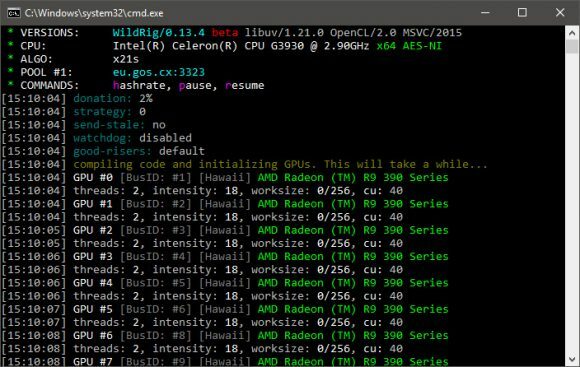 The development for the WildRig Multi AMD GPU miner continues with the latest 0.12.9 Beta bringing some more performance improvements for various supported algorithms on the table. It fixes the hashrate drops observed with X22i and adds performance improvements for that algorithm up to about 10% compared tot he 0.12.8 release that also brought some speed improvements for all algorithms. There is also a slight boost in performance for the X16r, X16s and X17 algorithms in the latest update. 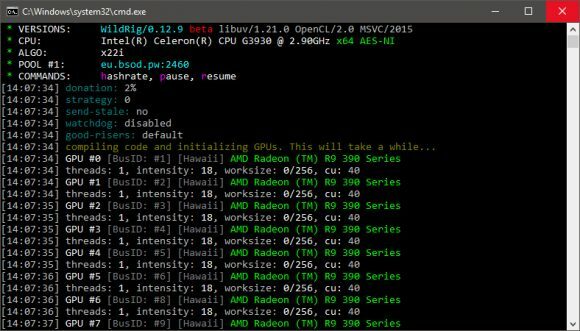 Do note that the WildRig Multi currently supports only AMD GPUs with the newer RX series and VEGA out of the box and there is a separate download of binary kernels needed for older R9 series Fiji, Hawaii and Tonga. Unlike its predecessor the WildRig Multi miner does not support Nvidia GPUs, it will only work on AMD-based mining rigs. The WildRig Multi 0.12.9 Beta is currently available for Windows, Ubuntu Linux and HiveOS as a closed source binary and with a 2% developer fee built-in by default, though it can be reduced. 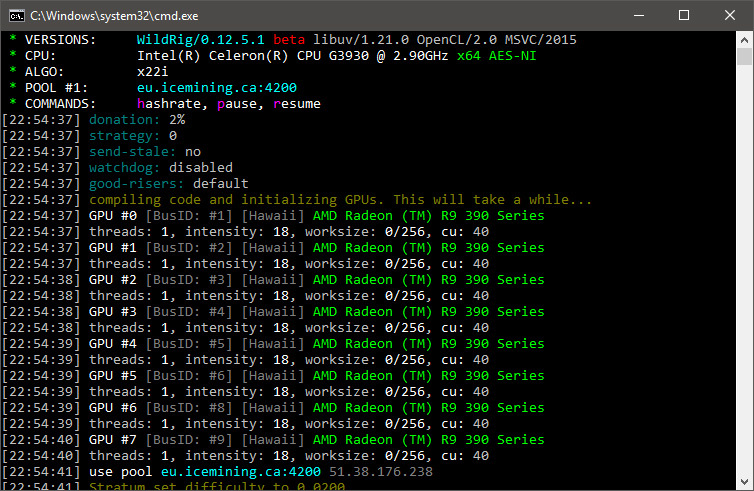 The development for the WildRig Multi AMD GPU miner continues with a nice temp with new algorithms, performance improvements and new features being added constantly. Since the last time we covered the miner there a few more new algorithms now added as supported to the latest WildRig Multi AMD GPU miner, these are – X22i, Exosis, Skunkhash and Bitcore (timetravel10) along with some performance improvements for some of the already available algorithms and various fixes and functionality improvements. Support for more new algorithms is coming soon with ones such as Xevan and Lbk3 being the most likely candidates for the upcoming updates. 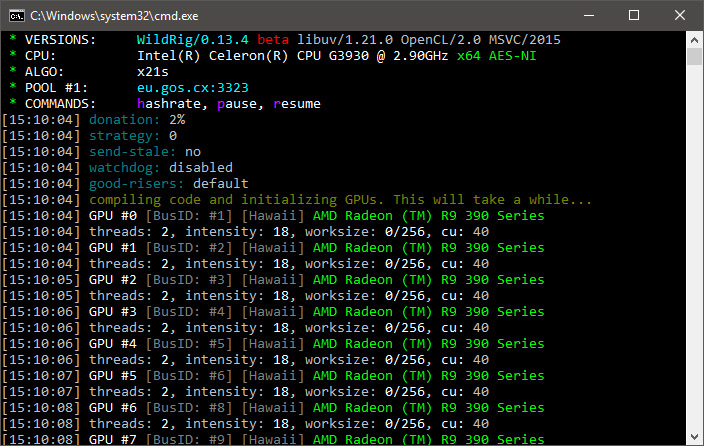 Do note that the WildRig Multi currently supports only AMD GPUs with the newer RX series and VEGA supported out of the box and a separate download of binary kernels needed for older R9 series Fiji, Hawaii and Tonga. Unlike its predecessor the WildRig Multi miner does not support Nvidia GPUs, it will only work on AMD-based mining rigs. The WildRig Multi 0.12.5.1 Beta is currently available for Windows, Ubuntu Linux and HiveOS as a closed source binary and with a 2% developer fee built-in by default, though it can be reduced.